Editorial by Michael Dalton: Is Early Surrender Alive and Well? 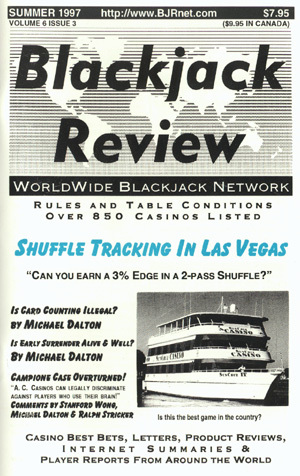 Shuffle Tracking at Bally’s, Las Vegas by Don Goren – Goren walks you through the complete strategy to beat Bally’s 2-pass shuffle (or any similar shuffle!) using formulas created by software that uses Neural Network algorithms.